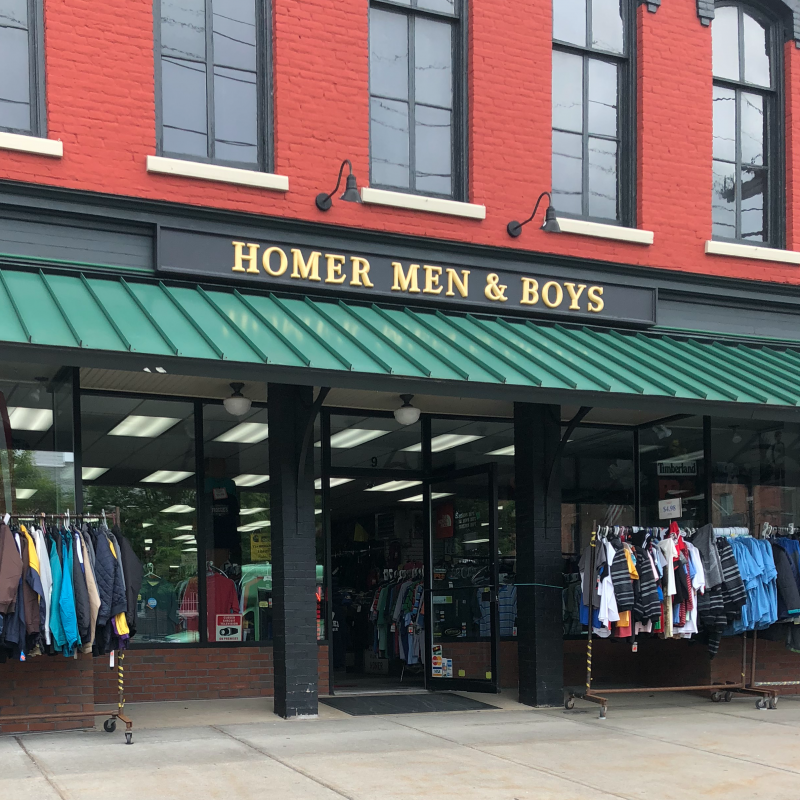 Homer Men and Boys Store - family-owned and operated clothing store since 1951. We offer named brand clothing and footwear for the entire family at discounted prices. The products we carry are: Carhartt, Levi's, Columbia, Northface, UnderArmour, Smartwool, Darn Tough, LEE, Wranglers, Duofold, Kinco, Redwing, Carolina, Timberland, Muck, and many more. We provide excellent customer service. If we don't have it, You don't need it. Named brand clothing and footwear at discounted prices.